Ferritic nitrocarburizing (FNC), also known as soft nitriding, is applied to carbon steels, HSLA, tool steels, alloy steels and stainless steels to provide anti-galling wear resistance and a measure of corrosion resistance. FNC can improve the fatigue life of your part and enhance the wear characteristics of forging and stamping dies, fixtures, gears, slides, molds, etc. 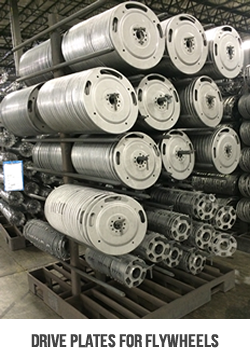 Our Ultrawear ® ferritic nitrocarburizing (FNC) process utilizes customized gas flows and furnace temperatures to produce the right nitrocarburizing atmosphere for your part. This provides complete coverage of your part surface and ensures a thorough delivery of compound layer to even the most complex part geometry. Our process creates an iron-nitride compound layer on the surface and a diffusion zone of carbon and nitrogen below which act together to protect your part from abrasion and corrosion, as well as improve the fatigue life and physical properties of your part. Compared with other methods, gaseous nitrocarburizing provides superior quality, flexibility and fast turnaround time.